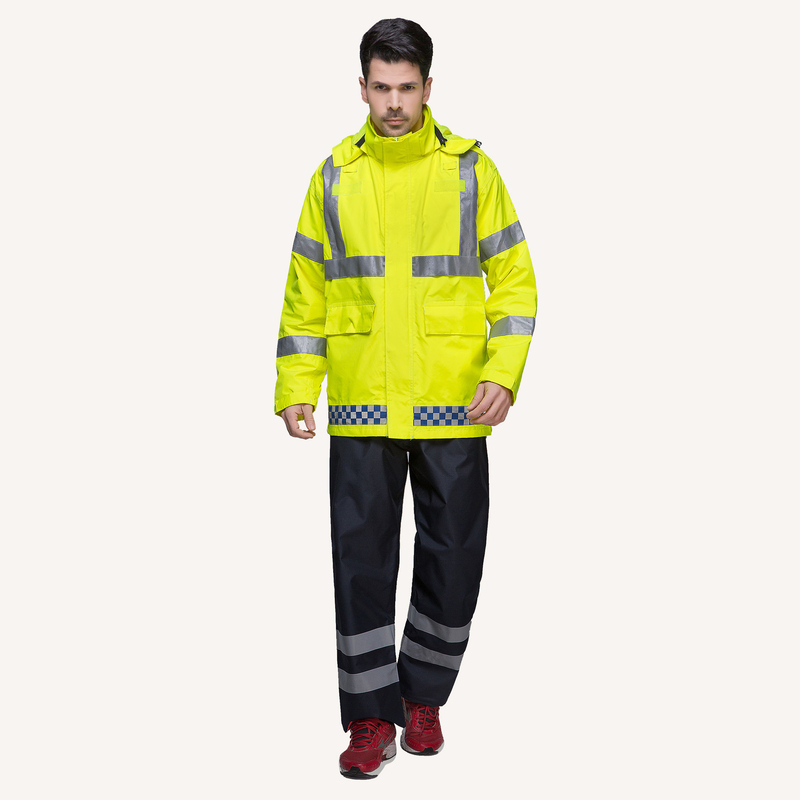 Customization Outdoor Waterproof Jacket ..
We provide specialized customization service outdoor waterproof jacket to meet unique or challenging business requirements. Clothes styles can be custom-made according to different functions. 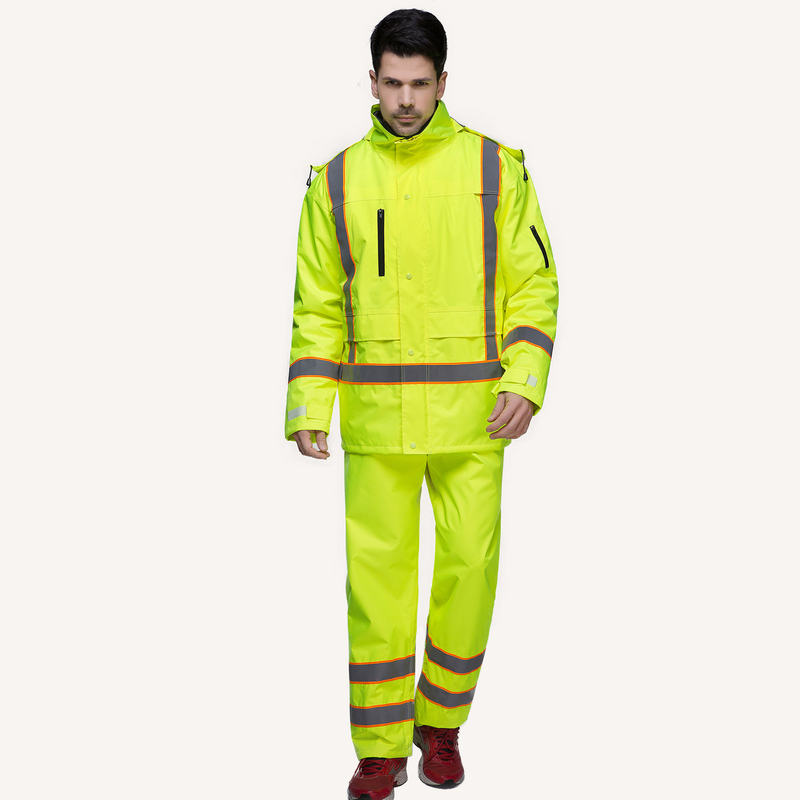 For example, safety raincoat for highway workers uaually have high light reflective stripe while outdoor raincoat put empasis on light and air-permeable fabric. 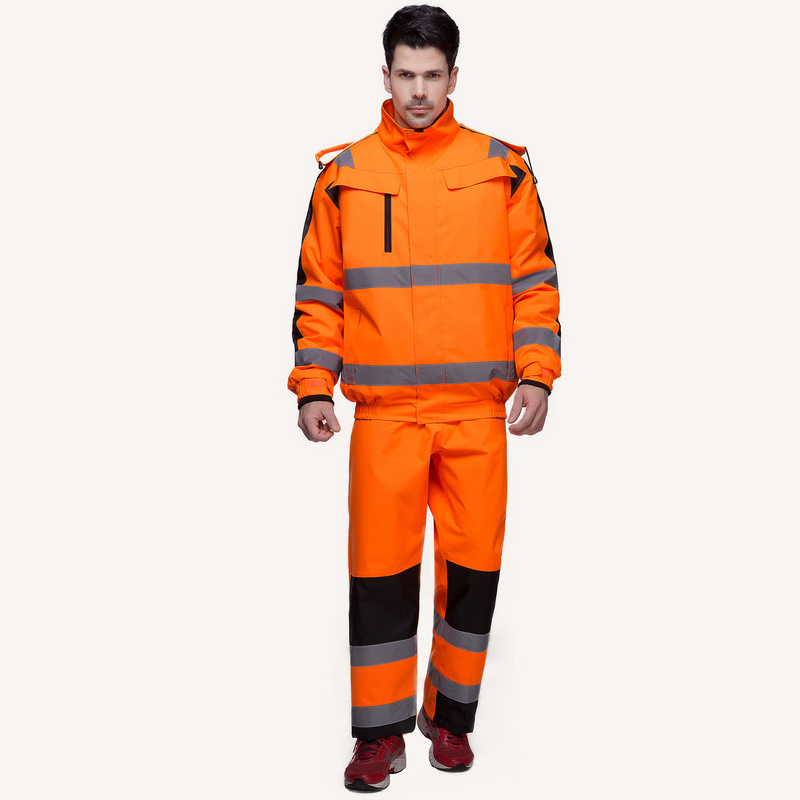 PEVA, PVC, PU cloth, cross Oxford clothing and etc. Colors would decided based on pantone color card. 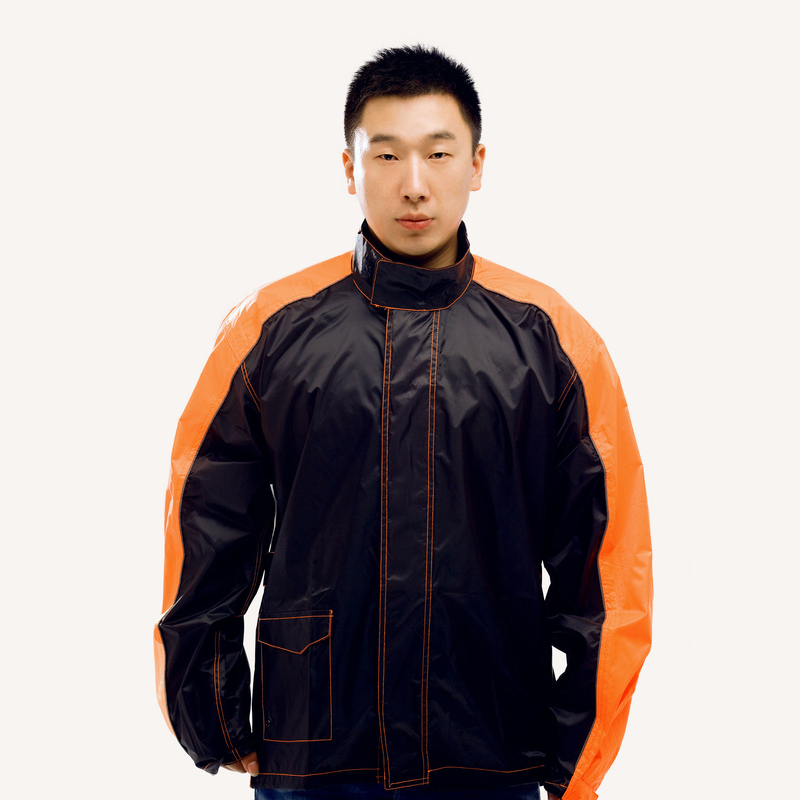 For accessories, we have choices from 3M reflective stripe, Superior quality waterproof seals，YKK zippers, etc. Computer graphics are used in pattern-making to ensure save more material and improve utilization ratio. 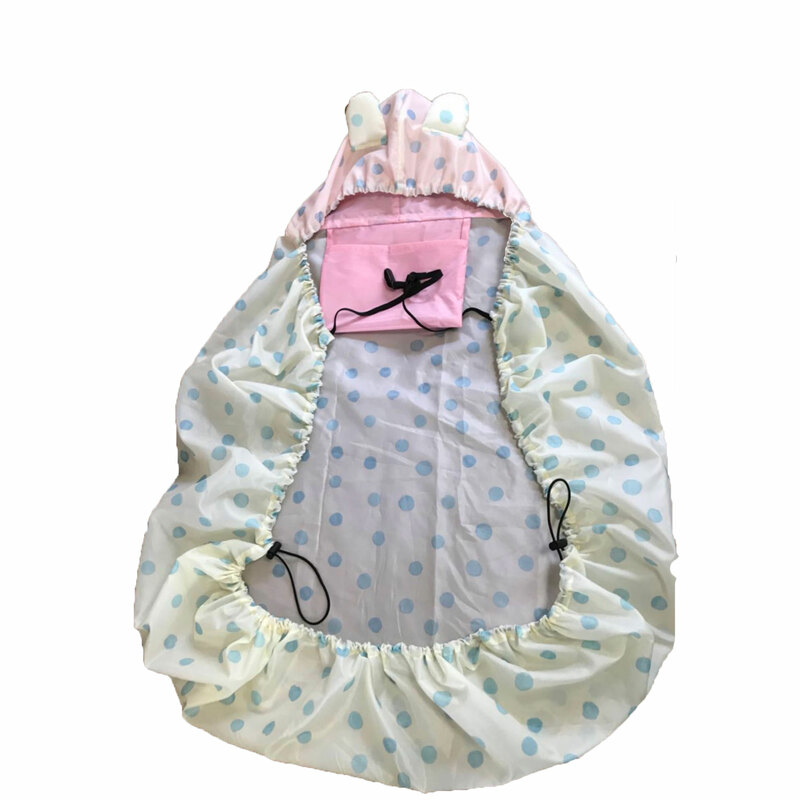 After approval of style and fabric for one product, sample raincoat would be provided for customers for final confirmation. Besides of our own brand production,We can provide collaborations including substituting processing and OEM production. Generally warranty period is 12 months.